A Welcoming Front Door. Your front entrance is the face of your home. Making changes in this area to make it more welcoming can offer a high return on investment for home sellers. A fresh coat of paint and new hardware can make a huge difference. Be sure the doorbell is working and don’t forget to put out a really welcoming welcome mat. Light the Way Home. Good lighting can really put the beauty of a home on display in the evening. Consider adding lights to the outside of your home, such as solar lights along the sidewalk to light the path or spotlights to light up attractive exterior features of your home. If your front porch lighting is dated, consider updating it. Don’t forget to make sure that the fixtures are clean and that dead bulbs are replaced. Clean the Yard. As the snow starts to disappear, pick up garbage, dead leaves, fallen branches and dog doo that may have accumulated on the lawn. Prune trees and shrubs before the weather warms up. As soon as the weather permits, rake away the layer of dead grass, as this will aerate the soil and allow new growth to emerge more quickly. Seasonal Maintenance. Spring home maintenance is always vital, but it’s especially important when you’re planning to sell a home. Look over the roof for missing shingles and other repair needs, as this can diminish your home’s appearance and sale price. Clean windows until they shine and repair any ripped window screens. Give It a Bath. When the weather has warmed enough that the threat of freezing has mostly passed, use a power washer to spray away the dirt that winter has deposited on your home. A quick power wash to siding, patios, sidewalks, and garage doors is one of the fastest and cheapest ways to improve the curb appeal of your home. Spring Flowers. One of the best things about spring is the flowers. The splash of color and beauty is a welcome sight following the dreary monochrome of winter. When the weather is warm enough, put planters full of spring flowers near your door and along the path leading to your home. Plant a garden near the side of your home or add some ornamental shrubs. Curb appeal alone isn’t going to sell your home, but it can certainly make a huge difference in getting people through the front door to see what is inside. This is especially true when it comes to people who may be driving or walking around the neighborhood, searching for their next home. These are just some of the most basic ideas for increasing curb appeal, so don’t stop here. Think of other things you can do to improve the appearance of your home and carry it out. 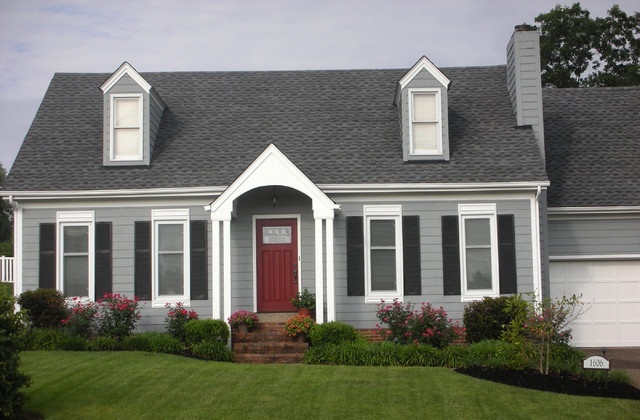 Do you have a suggestion for increasing curb appeal for selling a home? Let us know in the comments your idea for improving curb appeal.